Having a carpet in the house is for comfort and for decoration. Carpets can be of a home-spun, artificial or natural make. However, carpet cleaning is an important task that comes with having a carpet at home. The cool climate makes it a necessity to have a carpet spread out in the house. It not only helps in adding to the warmth of the house and but it also adds up dust and grime from the environment and from the shoes. Another yucky part of it is, when you have to clean up the poop of pets, coffee and tea stains, as well as other mess found on the carpets. Carpet cleaning usually happens, when the job cannot be put off further. However, a few handy tricks will make the job much easier and more economical. It has been found that carpet cleaning machines make the job more tolerable and easy. Carpet cleaning solutions can be easily prepared in the house and work out much cheaper and effective than buying solutions from outside. Detergent solutions are easily prepared, by using the detergent solutions and powders at home. It can be mixed with warm water as warm water helps to remove dust and stains easily and applied on the carpets. Vinegar helps remove all types of stains and grime. White vinegar can be mixed with double its quantity of water, to get the right consistency to clean the house. Dishwashing liquid helps to clean the carpet easily. They can be sprayed, directly on the carpet. There are other solvent solutions such as the nail-polish remover to remove stains and dirt. Powder the carpet and then use it after allowing it to rest on the carpet for a few hours. This will not require any wetness of the carpet and will keep it more clean and fresh. You can use equal quantities of ammonia and vinegar of about ¼ cups each. Take 3 tsp of dishwashing liquid and mix all of them in a few gallons of water. You can add more of vinegar if the carpet is really dirty. All the dirt will come out easily. These solutions can be applied or sprayed on the affected area. It should then be left to dry for a few hours. Make sure that it is allowed to sit on the dirtied area for at least half an hour. It can then be dabbed out with a sponge or a cloth and dried. If the dirt or stain is too hard, it should be repeated several times, to get the best effect. The smell from vinegar will go away, once the carpet dries and it would be back to normal. Keep all windows open and the fan should be let on for better ventilation. If the carpet is a synthetic carpet, detergent solutions, vinegar solution and solvent solution are the best methods of cleaning the carpet. If the carpet is made of natural fiber, it can be cleaned with a detergent solution or a vinegar solution. Ammonia solution will also help to clean up the carpet and will not harm the natural fiber in the carpet, nor the quality of the carpet. Commercial cleaners are very expensive. 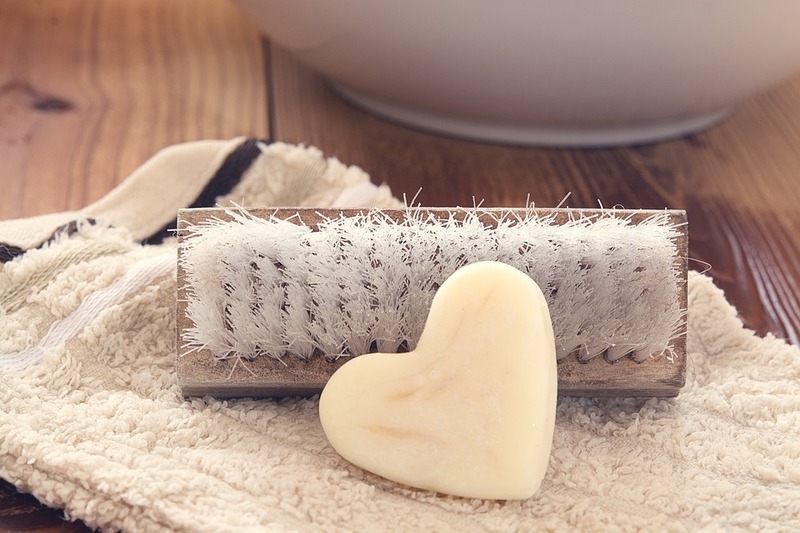 You can make a combination of cleaner and conditioner at home. Just mix 2 tablespoons of laundry detergent, ¼ cup of all-purpose cleaner, 1 tsp of fabric cleaner, 1 gallon of hot water and 1 scoop of OxiClean. It will leave the carpet extremely clean and soft. It gives a great smell. If your house has small kids, you can use non-toxic cleaners. You can mix white vinegar, water, salt and a few drops of essential oil such as pine, lavender or lemon. These are sufficient to create an aromatic cleaner that has no toxicity in it. It keeps the carpet safe for the little children, who spend most of their time sitting on carpets. If you have a large carpet, you will require a carpet cleaning machine that has a large tank. This will prevent the task of refilling the tank frequently. If you have pets, you should look for a carpet cleaning machine that can handle stains, hair and poop from pets. If the product comes attached with baskets, in which pet hair can be collected, it would be handy and easy. A chemical formula that works on pets and odors will be preferable. If there are small children, you should have Hoover Power Scrub Deluxe Carpet Washer that can be used frequently. Children are prone to make the carpet dirty frequently and carpets have to be frequently cleaned to protect the carpet from the children and the children from the carpet. Portable cleaners are most handy and are light-weight which can be used and stored easily. They can also be frequently as the house will require frequent cleaning. If you are stringent on your budget when you buy this machine, you can buy portable BISSELL SpotClean Professional that are smaller in size and are light-weight. They are also easy to handle. But they have small tanks and will have to be refilled frequently. Depending on the area to be cleaned, you can buy or rent a machine with a large tank or one with a small tank. If you have a large tank, you need not refill the tank frequently. But if the tank is small in size, it will have a smaller capacity and occupies less space. For deep clean, get a machine that is very efficient. You can get them rented from rental cleaners and they will help in deodorizing the atmosphere to get a healthy and sweet-smelling fragrance in the house. Carpet cleaning should be done regularly. Usually families put off cleaning as it involves a lot of work. The entire process can be made simple, when you buy a carpet cleaning machine. You can also rent a machine to do the job. The job of cleaning the house and the carpet has to be done and it can be done easily with these tips.